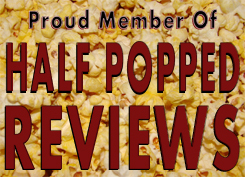 When it comes to reviewing movie franchises, I almost make it a rule to watch and review these things in order, but not always. I’ve seen How to Train Your Dragon enough times by now to know what I think about it, and not consider a review entirely necessary. To be frank, I wasn’t always the biggest fan of the movie. There wasn’t anything wrong with it, really, I just don’t think it was my thing. Was I really all that excited to see this one either? No, not at all, but it’s one of the more well-known animation films of the year, so I got to give my report. It’s basically the same deal – nothing wrong with it, but not really my thing either. 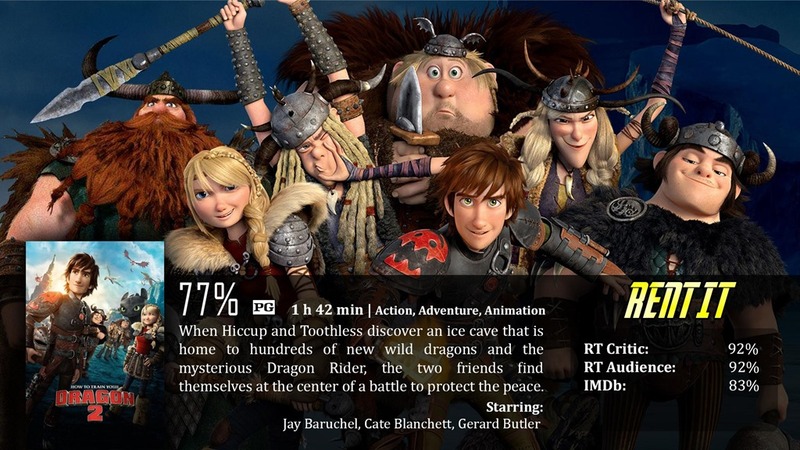 How to Train Your Dragon 2 comes back to the land of Berk – 5 years after the events of the first film. By now, everyone knows dragons aren’t the vicious creatures they once thought they were – and Berk itself has collected several dragons to train and ride. They even have a sport called Dragon Racing. However, that doesn’t mean that there aren’t people in the world bent on making the dragons vicious anyways. Knowing they are trainable creates cause to train them to be bad – and then we have the same basic idea…give or take…of the first film. Dragons against other dragons – some bigger, some smaller – lots of fire and animated violence. There ya go. I was never a huge fan of the series, as I’ve said before, but this movie did a few things that weren’t only risky, but were smart as well. The first thing was aging the characters. I don’t know many animated films that actually age their characters through the sequels. It makes sense, and it creates a separate perspective on the entire thing – however, I do have one complaint about that. Hiccup’s voice is the same, as if he’s still going through puberty. I know that’s Jay Baruchel’s actual voice, but it annoyed me that they didn’t at least try to alter it – because…now it just sounds unnatural. He sounded younger than he looked, basically, just because of how he sounded in the first movie. It’s not a huge complaint, but it is an observation I wish was different. Another smart thing they did was keep a strong focus on Hiccups history and character development. I won’t spoil it for you, but there is a moment in the film that’s actually pretty surprising in that area…it’s actually where the film shifts and really gets on a roll. I wouldn’t say it was entirely unpredictable for everyone, but for the target audience, it will most definitely be a surprise – along with some powerful moments that may or may not tug on your heartstrings…depending on who you are. Since I didn’t care for the movie personally, it didn’t really affect me, but I can see it working for others. The main issue I have with the thing is that there was never really any need for a sequel. Sure, the book the first film was based off of is part of an expansive book series, but that’s that…and this is this. The first had a complete and solid story that ended in a shifted perspective on the things we don’t understand and jump to conclusions out of fear. It had some really good messages – and that was fine. Sure, this one has messages as well, of devotion and family…but also of the darkness in the world that we can’t change. I’m not saying it didn’t have good messages, it did, but the story itself just looked a little too familiar to the first in general. How to Train Your Dragon 2 will most definitely work for its target audience, which for the most part, is children. It has a lot of valuable messages in regards to the importance of family and loyalty, and it also serves as a warning – that you can’t make everyone happy, and you can’t change everything for the better. Some things are dark and will always be dark. I personally didn’t care for the movie. I thought that underneath all of the messages laid a movie that was a little too similar to the first one. If I muted it, it really wouldn’t look all that different either, other than the aged characters. Good review Dave. A lot more adult and dark than the first, which, for better or worse, makes it a better watch. Maybe moreso for adults, than any actual kiddies.